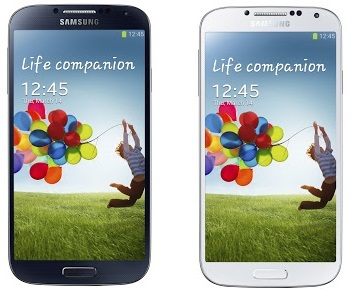 Samsung Galaxy S4 has an interesting pre-order offer in the UK as the system files and apps get dumped online! Samsung's Galaxy S4 goes up for pre-order tomorrow here in the UK, that's the 28th of March and we already expect it to be wildly popular much like its predecessor was. But, it seems the Carphone Warehouse have something extra up their sleeve to make the first 2000 devices fly off the shelves. Tomorrow morning when the pre-order page goes live the guys will be offering you a free accessory bundle which includes a S4 screen protector, case and a car charger (valued at £64.97) as well as a complementary Samsung Galaxy Tab 2 7.0! The tab isn't top of the line any more, but it does run Android Jelly Bean 4.1 and if you were planning on buying the phone anyway surely it's a good incentive to get something else thrown in! Remember to get in quite early because this is only available for the first 2,000 people. After your order you can expect to receive your devices on the 26th of April! If you can't wait to get your hands on the device we can't help too much with that, but what we can do is offer you something to pass the time between now and the end of April. The guys over at SamMobile have somehow managed to get a system dump for the Galaxy S4. That's not too useful on its own, but hidden inside are a couple of gems. For example you can get your hands on the S4's wallpapers, ringtones, S-Voice apk, and some of the integrated demo videos! There's also Samsung's new System Link app for sharing content, which is somewhat buggy when run on a Galaxy Note II apparently, but nonetheless that's here too! If you're interested in the system dump itself, you can download that here too!